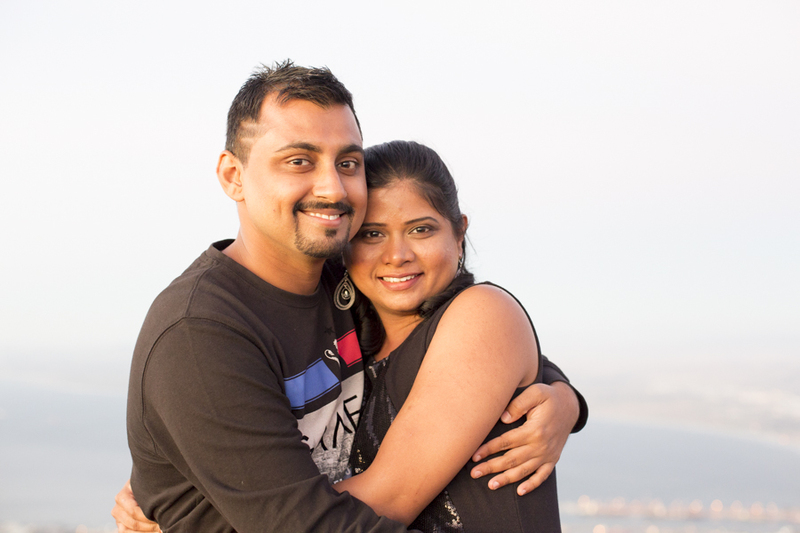 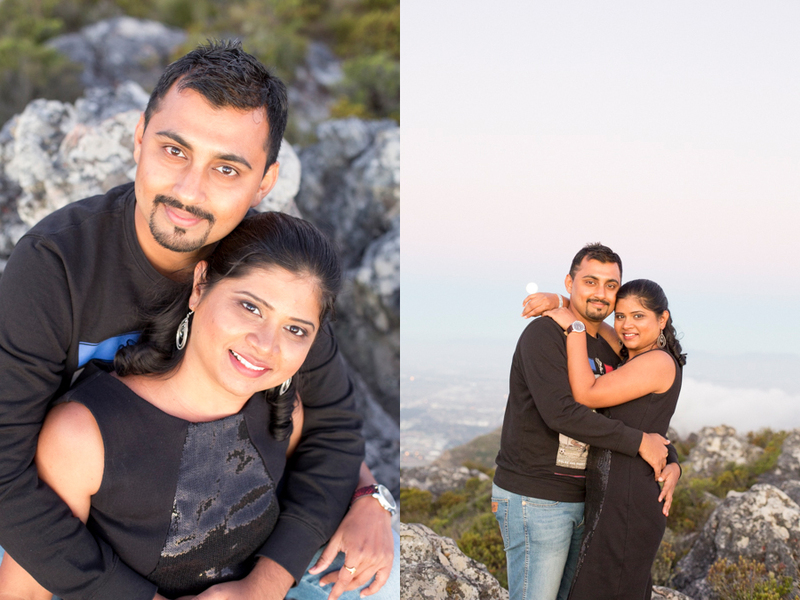 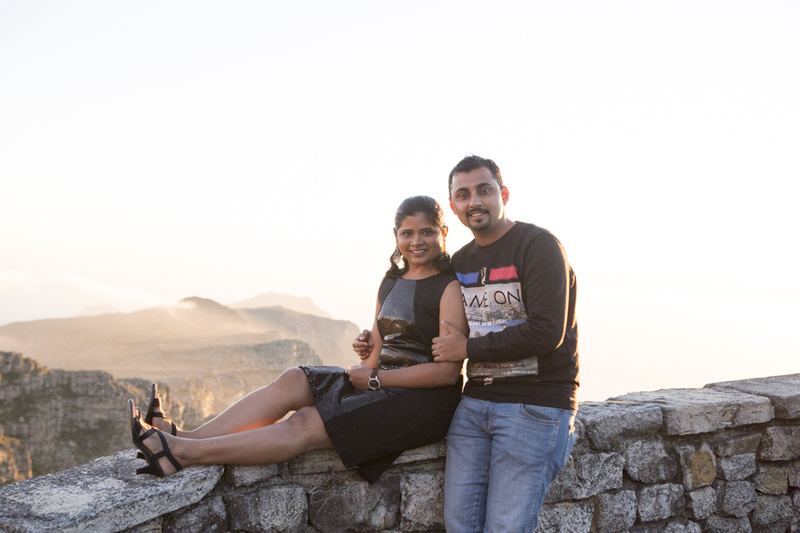 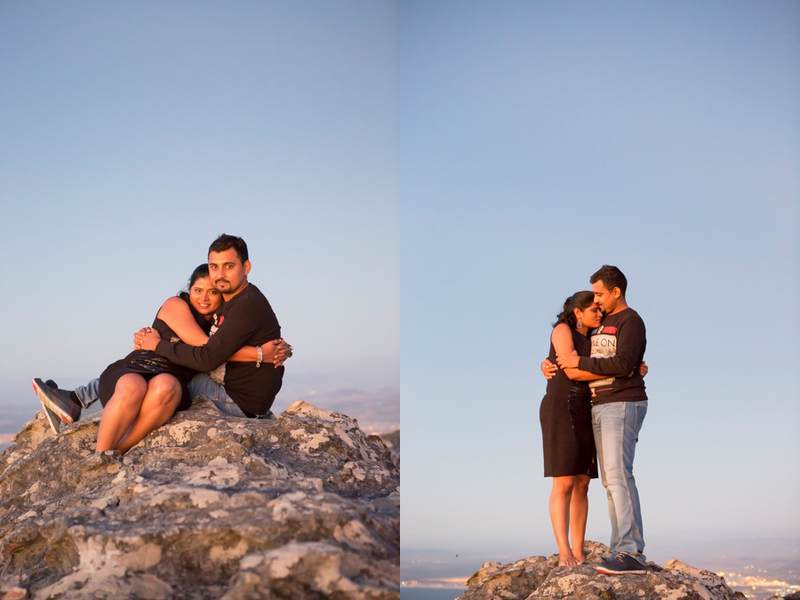 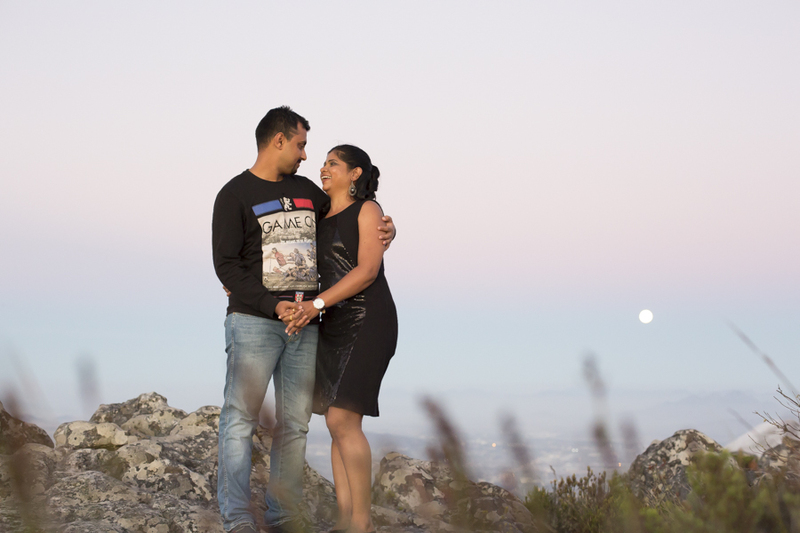 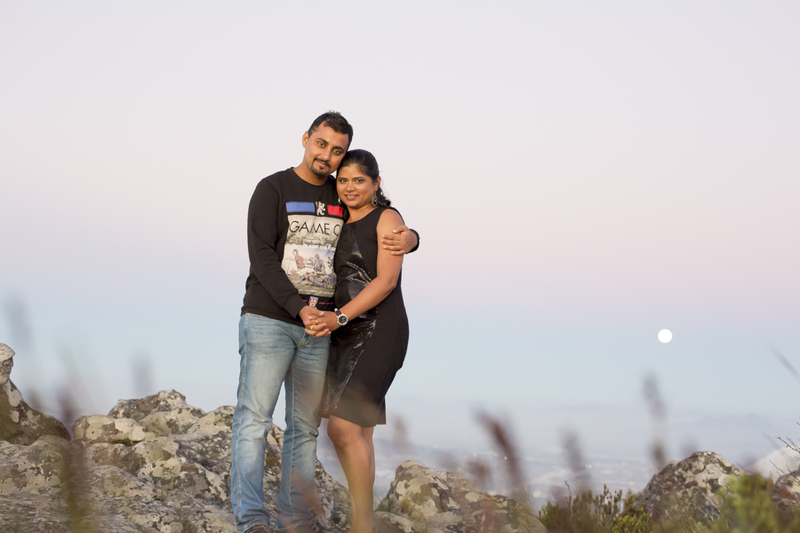 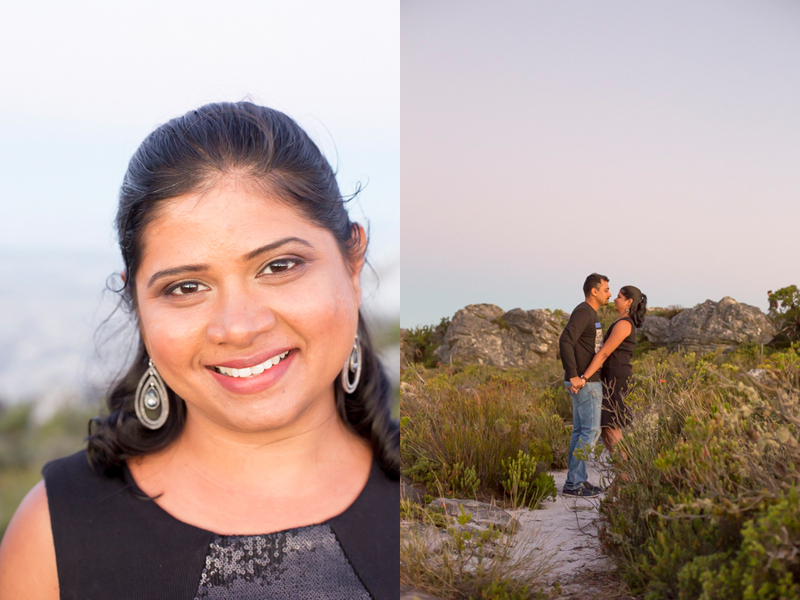 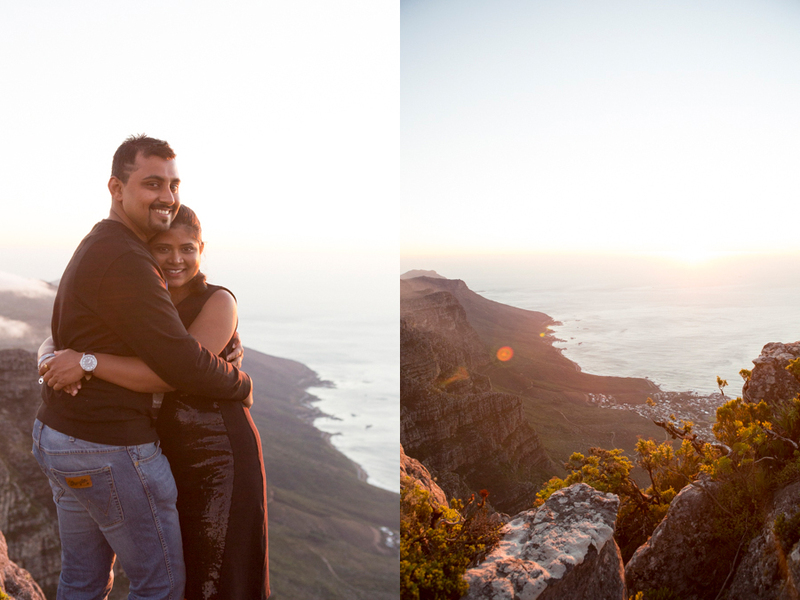 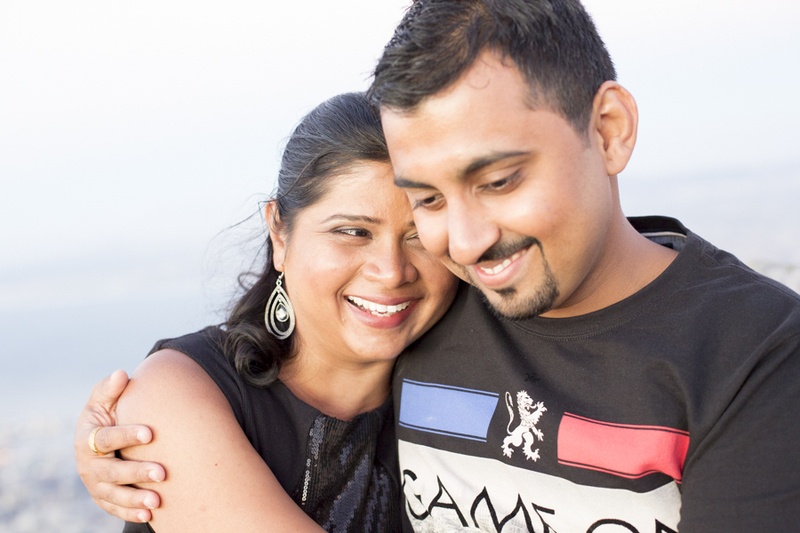 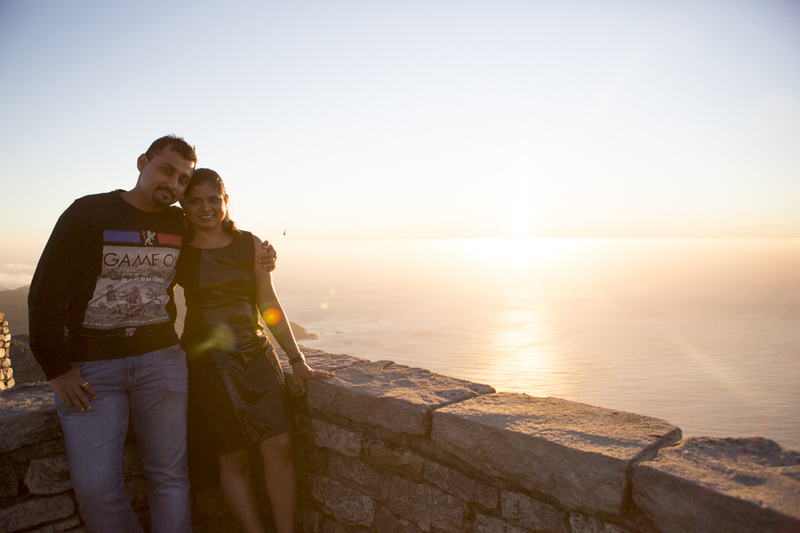 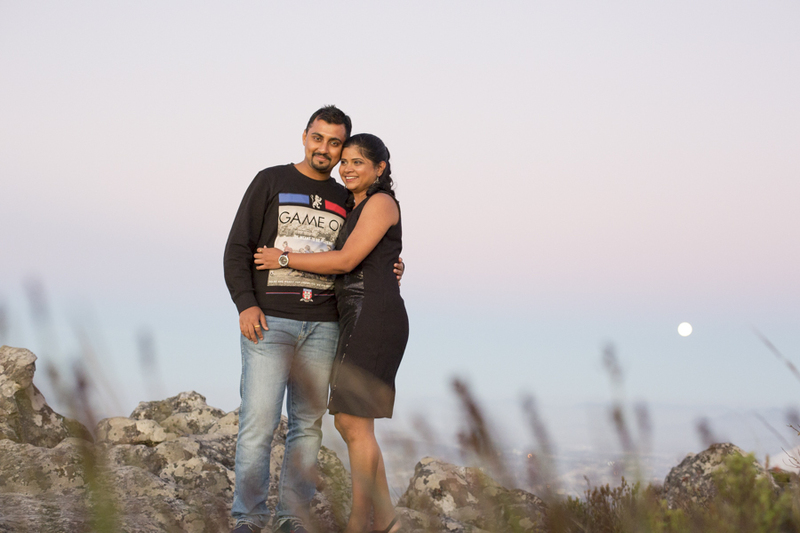 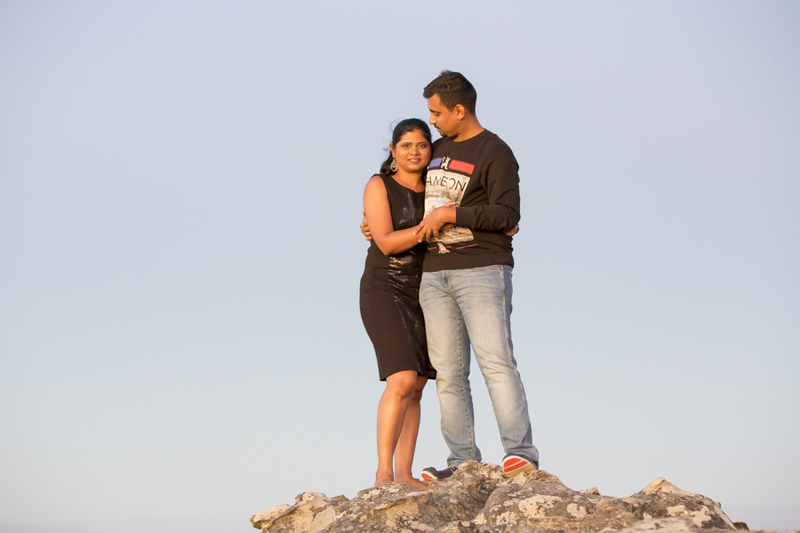 Amit and Vinita spend a few days in Cape Town. 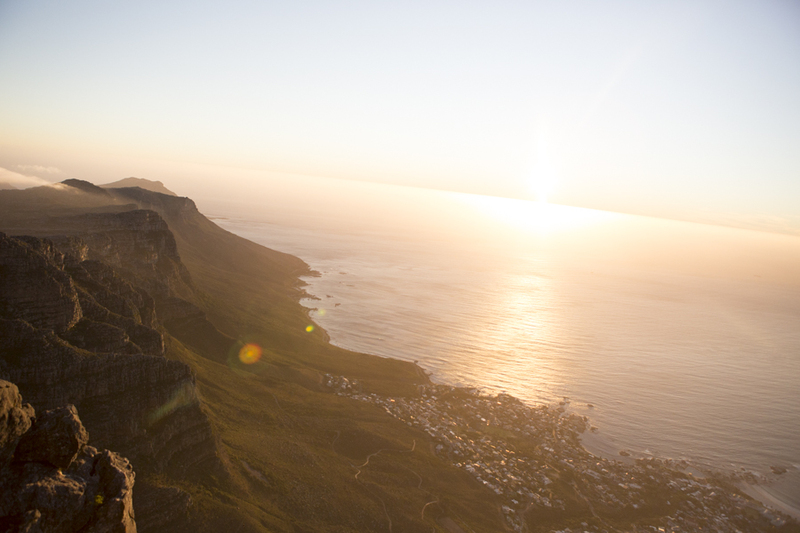 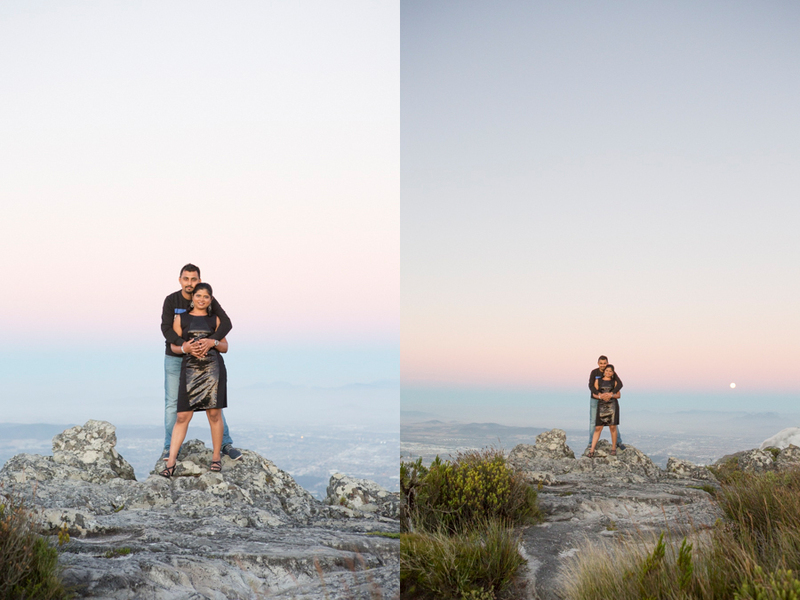 We went up Table Mountain for the shoot. 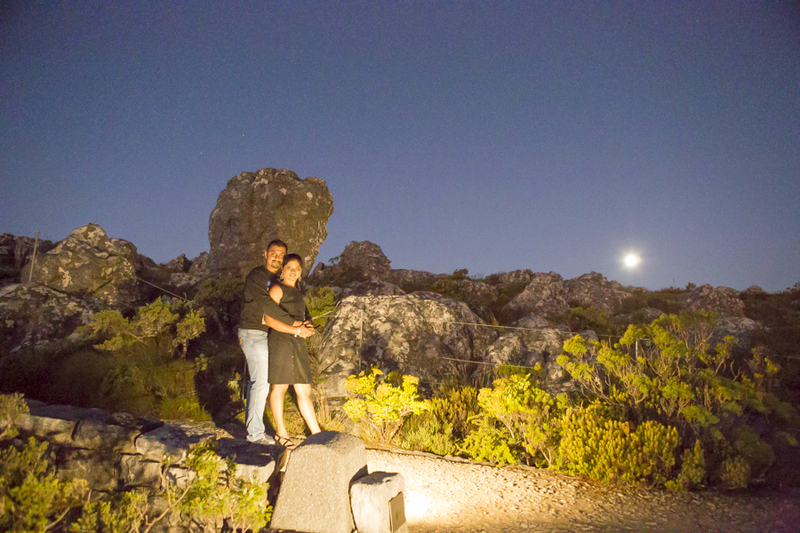 It was a beautiful evening, full moon and all. 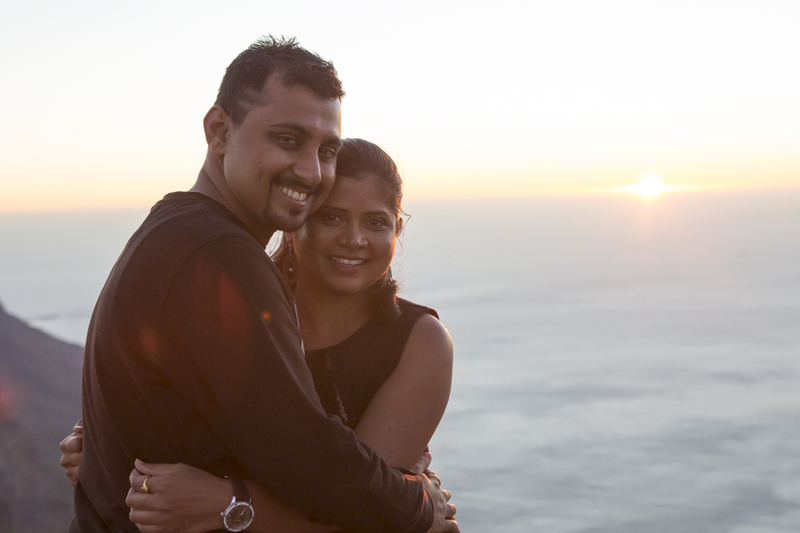 After our lovely shoot, which we pushed until we really couldn’t anymore, we went in the cable car down the mountain again. 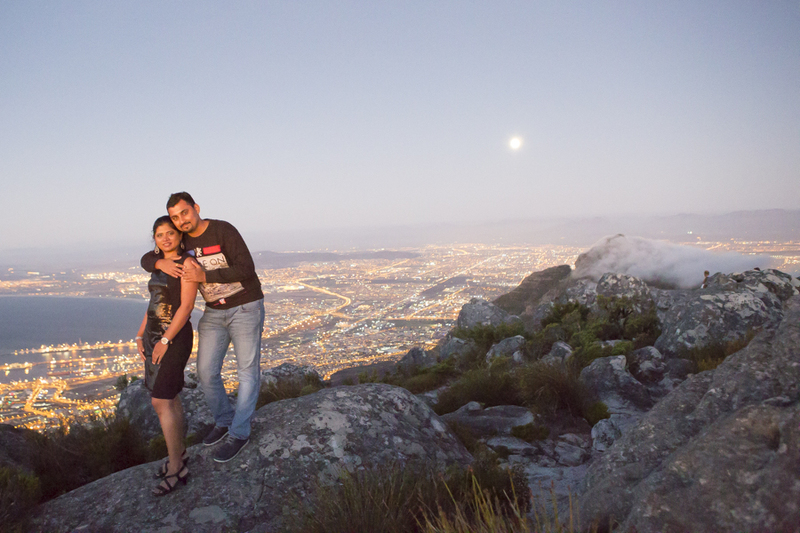 My highlight was when the operator started singing ‘Don’t worry, be happy.’ Eventually all of us were singing down the mountain 🙂 Enjoy your photos. 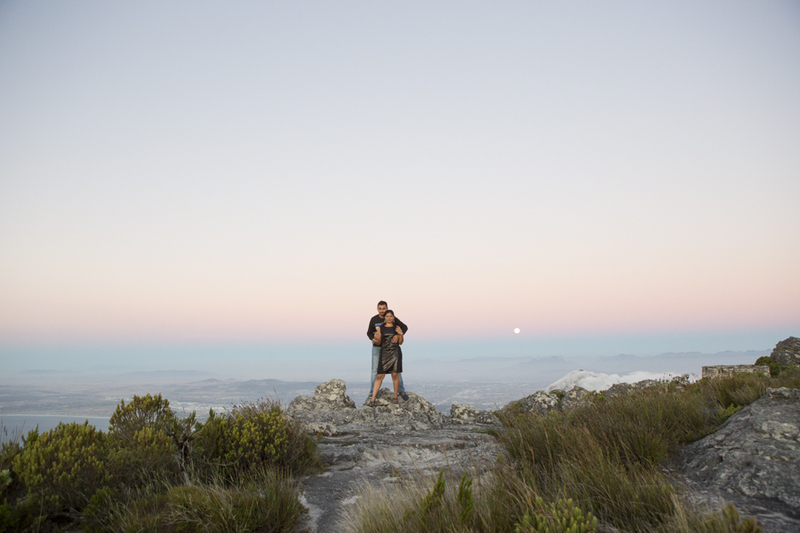 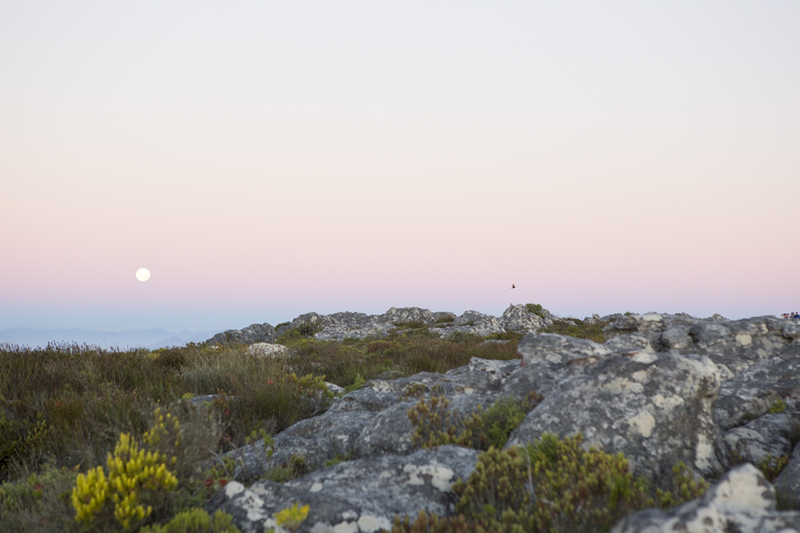 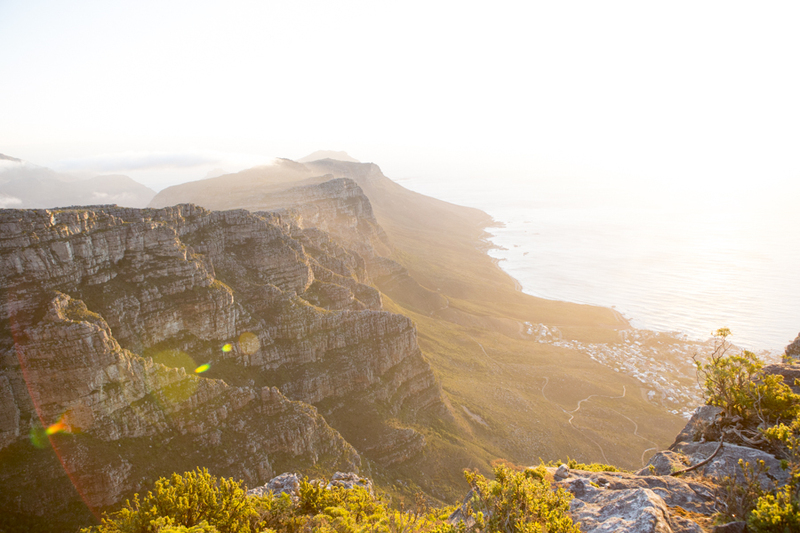 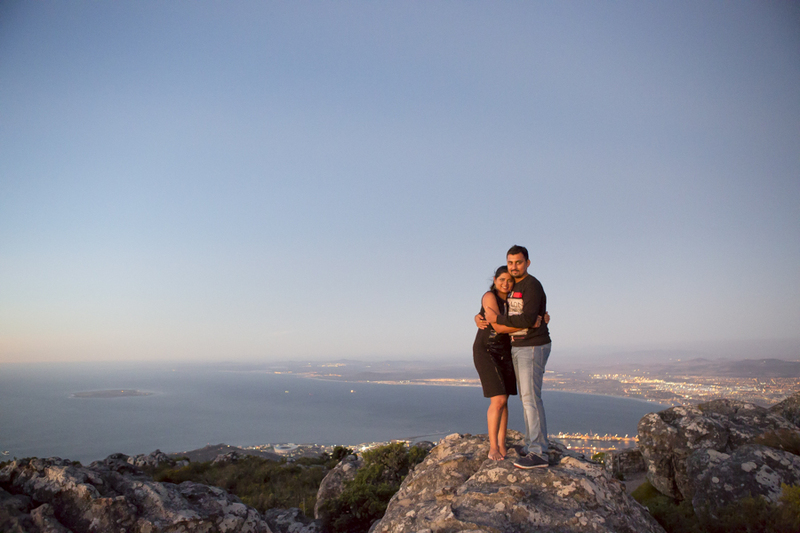 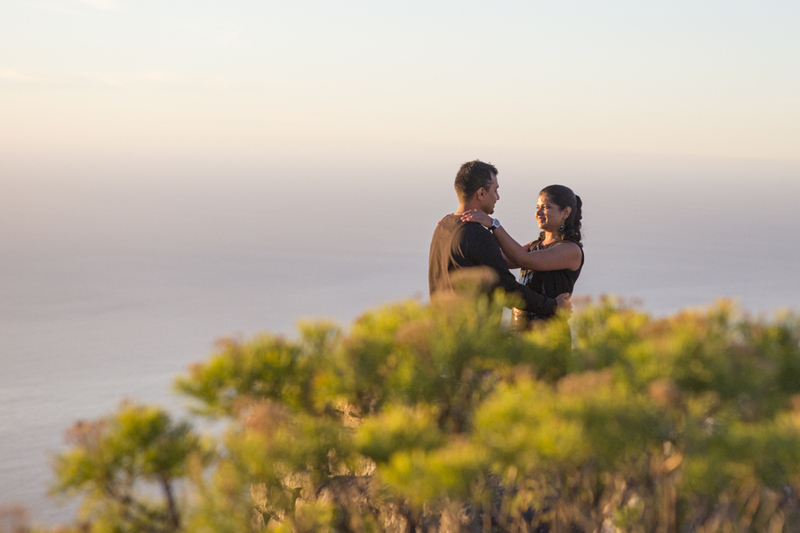 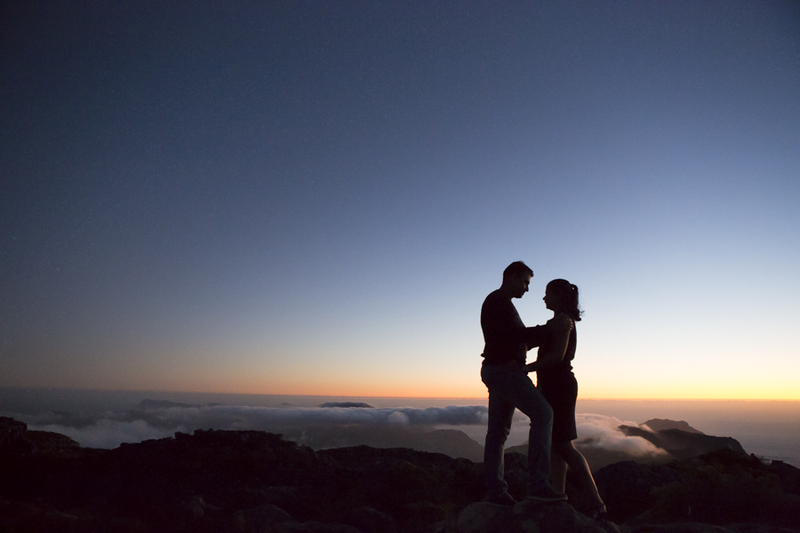 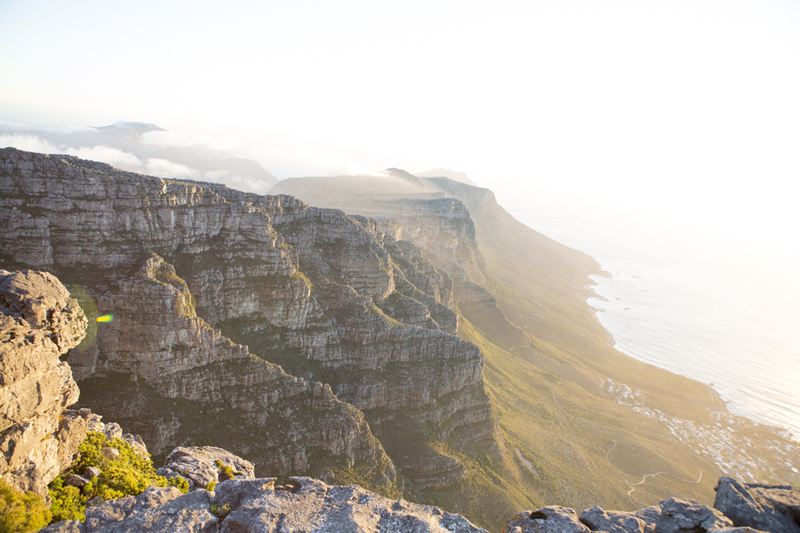 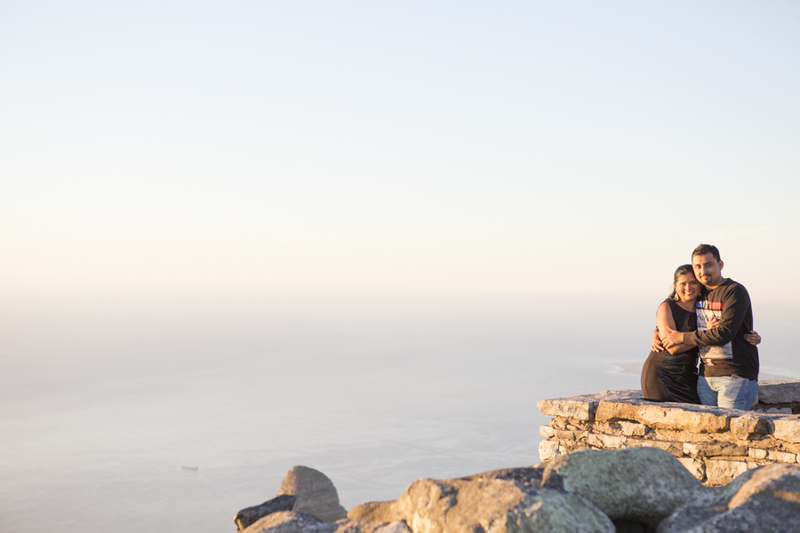 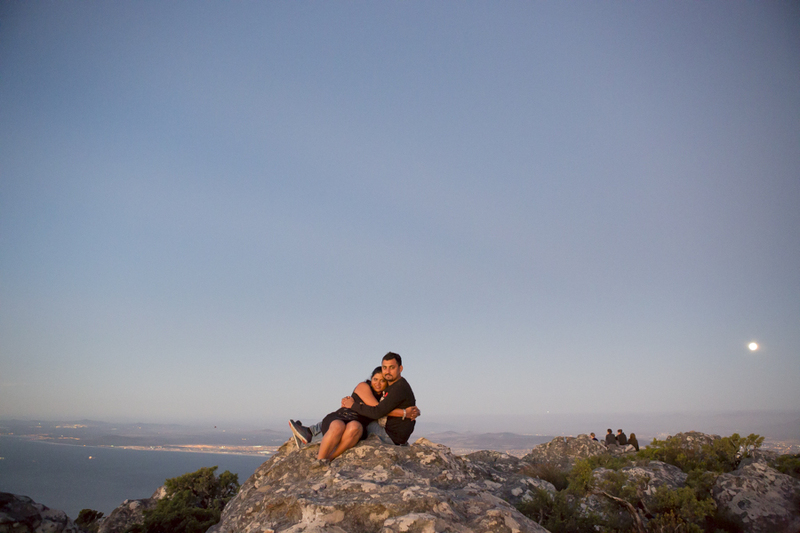 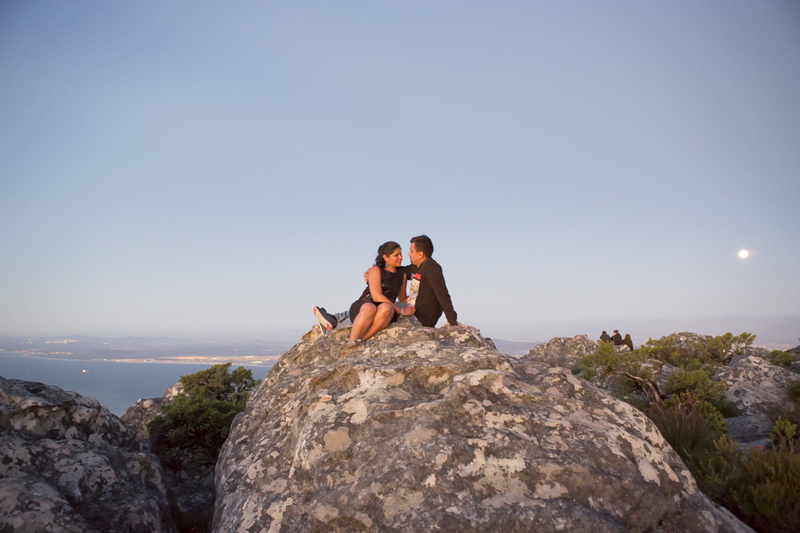 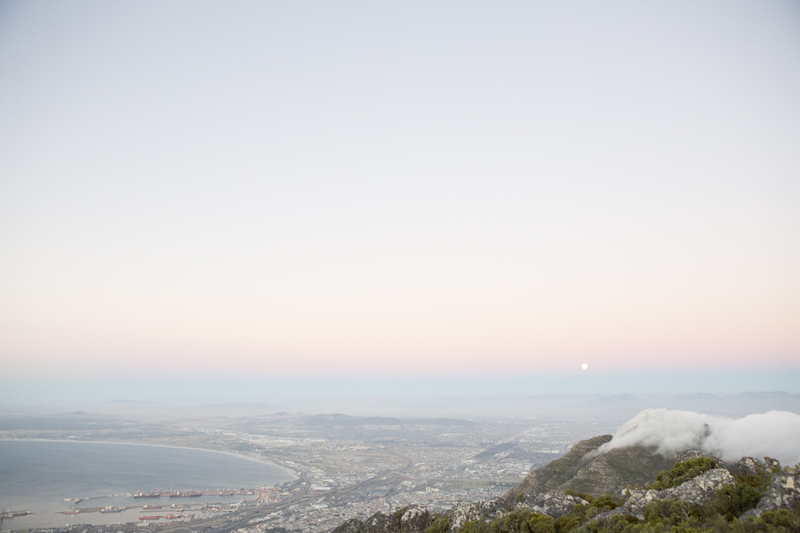 March 23, 2016 | Filed under Couple and tagged with Anné Dreyer, Anne Gray, Anne Photography, Beach, Cape Town, couple, fun, South Africa, Table Mountain.